Hardcover, 9.75 x 11.75 in. / 136 pgs / 120 color. Edited with text by Joan Banach, Jeremy Melius, Laura Stamps, Benno Tempel. 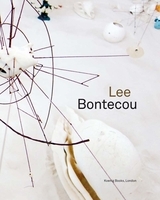 Since the 1960s, American artist Lee Bontecou (born 1931) has been internationally praised for her intriguing sculptures and installations. The rich, organic shapes of her sculptures seem to originate from a mysterious universe in which fears and desires are condensed. Recently the artist created “Sandbox,” a new installation in which she combines elements from her work from the 1960s to the present. A picture essay by Joan Banach, artist and friend of Bontecou, focuses on the genesis of “Sandbox” and maps the rich network of Bontecou’s inspirations: pictures range from extracts from geological and historical books to images of works by old masters. Beautiful, detailed photographs of the artist’s studio—including her inspirational “wall of drawings”—are featured alongside reproductions from Bontecou’s sketchbooks. 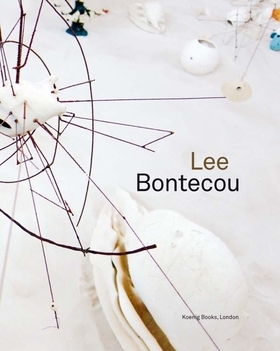 This book is an intimate insight into the creative process of the artist. FORMAT: Hbk, 9.75 x 11.75 in. / 136 pgs / 120 color.